Today we’re launching a new section of our website for information about Raspberry Jams – events and meetups for Raspberry Pi users. We want to promote community events and make it easier for people to set up their own; and to spread the great sense of community that we see around the Pi even further. Jams come in a variety of flavours: some have talks, demos and workshops; some just provide space for people to work on projects together. Some are small, just a few people sitting around a table; some are held in universities with hundreds in attendance. The new Jam section has a map and calendar of all upcoming events, and you can submit your own to be added. It contains a page of information on how to set up and run your own Jam, and gives examples of featured Jams for inspiration. Thanks to Mike Horne for his help on putting this together! 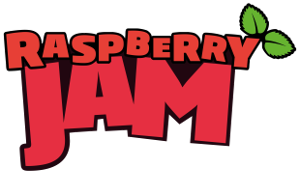 Raspberry Jams provide a great way for people to connect with others and learn from each other about how best to use the Raspberry Pi. Either for education or tinkering. On the tinkering. A fair amount of the resources being used by educators came from the tinkerers. Will make sure to get the next Egham Raspberry Jam listed. Link to short write up with pictures of the recent Egham Jam that happened on the 5th of October. 2. There’s no option to submit recurring events (our’s is normally 2nd Wednesday monthly). 3. There’s no option to set a start/end time (20:00 to 23:00 in our case). Why are there still no events held in Scotland?? Compute Module IO Board Hardware Designs Available!